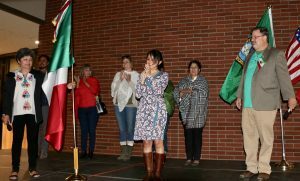 Toppenish, Wash. – A flag-raising ceremony and a celebration honoring several Yakama Nation elders will kick off Heritage University’s annual recognition of Native American Heritage Month. President George H. W. Bush designated November as Native American Heritage Month in 1990. 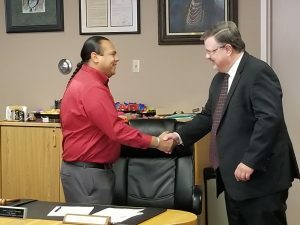 Heritage University will raise the flags of the Yakama Nation, the state of Washington and the United States during a ceremony featuring the Yakama Warriors. 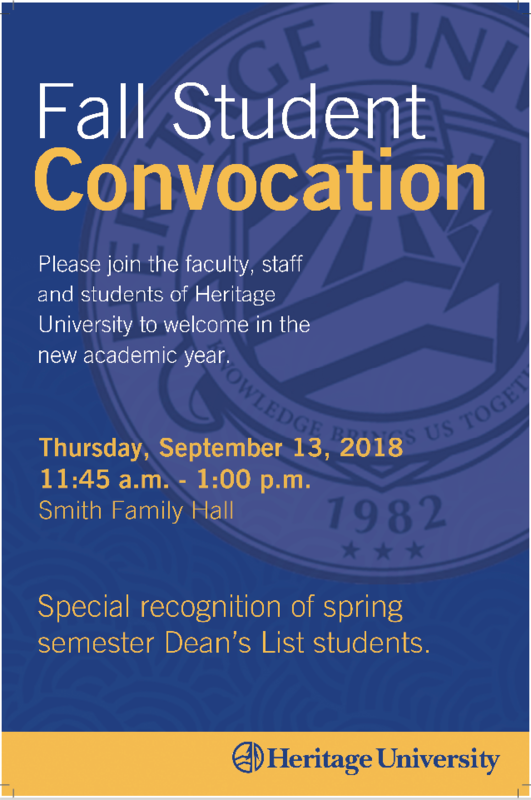 The ceremony will begin at 9:30 a.m. and will be held at the main campus entrance. At 10:00 a.m., Honoring Our Elders, an event celebrating Yakama Nation tribal elders Loren Selam, Sr., Marlene Spencer Simla, Wanda Sampson and Delano Saluskin and their contributions to the Yakama Nation community, will take place in Smith Family Hall. This event is by invitation only. Therapy Through the Art of Wápaas Weavingwill be held in Smith Family Hall from 12:00 p.m. – 1:00 p.m., and will feature community member Bessie Wilson (Wahpeniat) teaching how to weave hemp, string and yarn into wápaas bags. Also on November 7, the Community Dinner Gathering will take place in Smith Family Hall. 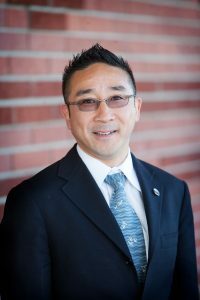 This event will feature a silent auction and entertainment will be provided by motivational speaker Dyami “Eagle Thomas.” The Mellon Mays Undergraduate Fellowship at Heritage, the HU chapter of American Indian Business Leaders and the HU Garrett Lee Suicide Prevention Grant have joined as sponsors of the dinner which will be held from 4:00 p.m. – 8:00 p.m.
Heritage University students, faculty and staff will celebrate American Indian/Alaska Native heritage by participating in “Rock Your Mocs,” an event where people are encouraged to wear moccasins during the week. The event also honors the ancestors of indigenous peoples worldwide. HUNAC will host Ichishkíin Gamesin the Patricia Wade Temple Conference Room from 12:00 p.m. – 1:00 p.m. Students and families from the community are invited to enjoy games played in Ichishkīin including “Aw np’íwitak” (Go Fish), “Nax̱sh” (Uno) and more. The games featured are developed by students of Ichishkíin programs at Heritage University and the University of Oregon. No experience with the language is necessary as tutors will be teaching pronunciation and phrases at the event. Also on November 13, HUNAC member Candace Chief will hold a Ribbon Skirt Workshopand show how to make colorful, cultural skirts. 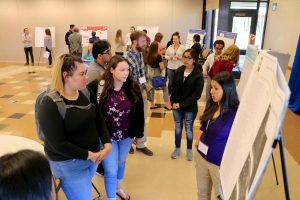 The workshop takes place in the Harry Kent Building from 1:00 p.m. – 4:00 p.m.
Ichishkíin Family Game Nightis another opportunity for the public to play games in Ichishkíin. 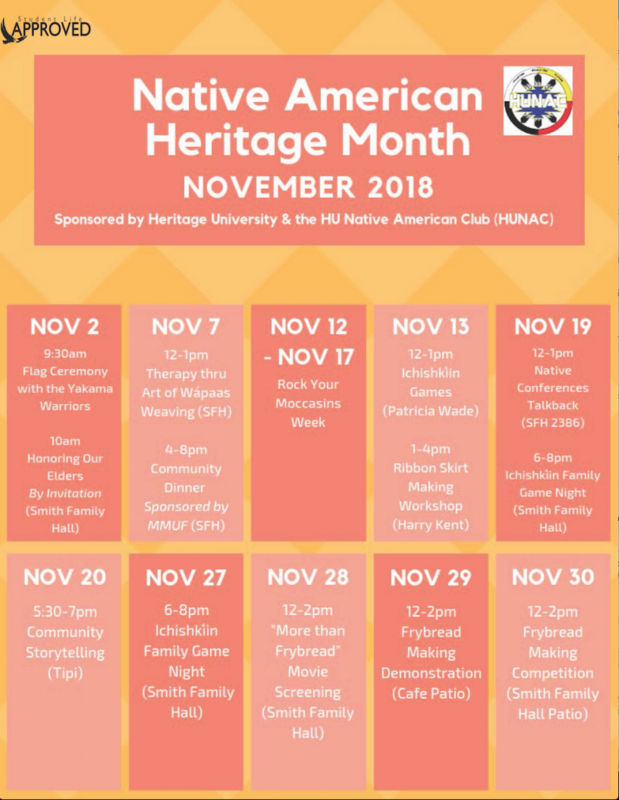 The game night takes place in Smith Family Hall from 6:00 p.m. – 8:00 p.m.
HUNAC invites you to Community Storytellingat the Heritage University Tipi from 5:30 p.m. – 7:00 p.m. Tribal elders, students and community members will share traditional stories while roasting marshmallows and sipping hot cocoa. Ichishkíin Family Game Night– Smith Family Hall, 6:00 p.m. – 8:00 p.m.
A three-day extravaganza geared towards creating awareness of frybread will begin on this way, with the screening of the mockumentary More Than Frybreadin Smith Family Hall from 12:00 p.m. – 2:00 p.m. You’ll learn why frybread is revered in Indian Country. HUNAC members will show how frybread is made during a cooking demonstration outside Pigott Commons from 12:00 p.m. – 2:00 p.m. People will get a chance to buy frybread during this event. 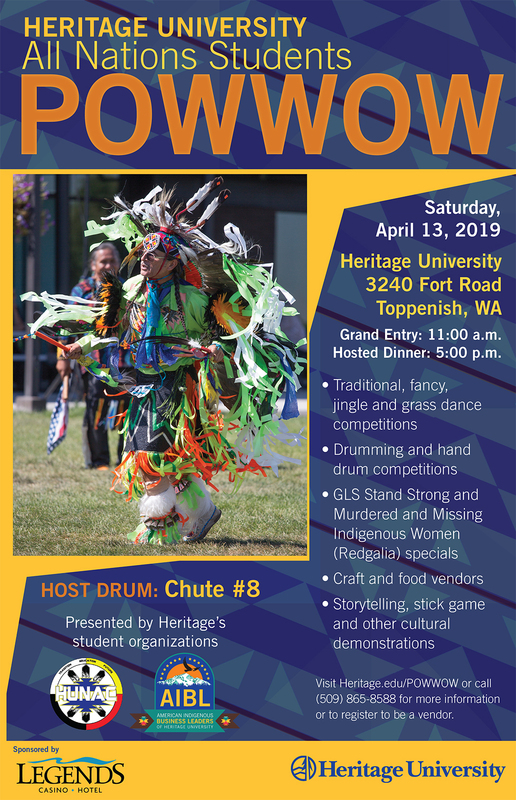 Heritage University students and staff will have the opportunity to put their frybread cooking skills to the test during a competition outside the Arts & Sciences Center from 12:00 pm – 2:00 p.m. HUNAC members will serve as judges for the competition.